The Brooklyn Tabernacle is a multicultural, non-denominational church in the heart of Downtown Brooklyn. The church began with a handful of members in a small, rundown building in a difficult area of the city, and today it is a congregation of about ten thousand people who attend the weekly services. Pastor Jim Cymbala and his wife Carol, who directs the Grammy Award-winning Brooklyn Tabernacle Choir, have had the privilege to not only preach the gospel in the inner city, but also to see new churches grow out of the congregation in response to needs in other parts of the city and elsewhere in the country, as well as internationally. Because of its location, The Brooklyn Tabernacle has a unique open door to minister to the cross-cultural melting pot of New York City. The church itself includes members from all walks of life, and diverse ethnic and national origins. 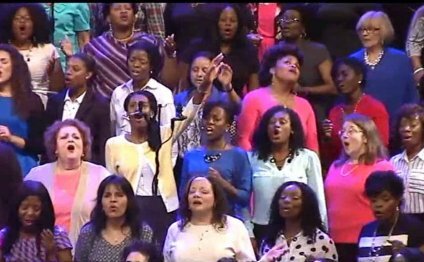 Central to the growth and outreach of The Brooklyn Tabernacle has been a strong emphasis on prayer, through the Tuesday Night Prayer Meeting and the Prayer Band, which is devoted to interceding for needs from around the world.